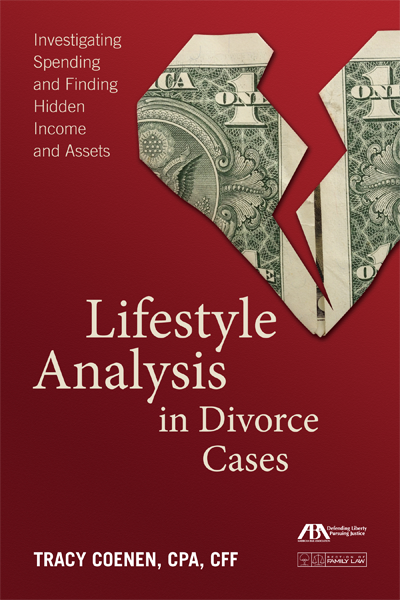 My new book, Lifestyle Analysis in Divorce Cases: Investigating Spending and Finding Hidden Income and Assets, has been published by the American Bar Association. It is the only book available on the topic of lifestyle analysis in divorce cases. While there are plenty of excellent books on financial issues in divorce, none of them focuses on the lifestyle analysis, how it is done, and how the results may be used in court. When a spouse involved in a divorce owns a business, the finances of that business must be analyzed. A Business Lifestyle Analysis can be done to determine the true income of the company and find out where the money is really going. In this video, Tracy Coenen talks about how she analyzes the detailed accounting records of a business. When a divorcing spouse owns a business, it is imperative to dig into the financial records of the business in order to value it and to determine where the money is going. Tracy Coenen and Miles Mason talk about the documents that a forensic accountant needs in order to evaluate the business. This article was originally printed in the ABA Section of Family Law eNewsletter, March 2014. There are many different definitions of income that can be used in family law cases. Local law will play a big part in defining income, but in more complicated cases, other definitions may come into play. The financial expert can help the attorneys and the court to understand the various types of income and why they should be included or excluded from income calculations in a family law case. The Internal Revenue Code is often a starting point for defining and quantifying income in family law cases. Experienced family lawyers know this is only the tip of the iceberg and doesn’t cover many of the unusual situations that could arise in cases with complicated financial scenarios. This article was originally printed in the ABA Section of Family Law eNewsletter, February 2014. Income tax returns and supporting information such as W-2s and pay stubs are the most common and basic documents which evidence income in family law cases. This article discusses the sources of income that are disclosed on a personal income tax return (Form 1040), and some ways the items can be evaluated to search for hidden income and hidden assets. Wages – The figures reported on the income tax return should be matched to the W-2. The W-2 and the pay stubs will provide additional information on the employers, pay rates, total pay, certain benefits, and taxes withheld. Additional analysis may include tracing bank deposits to ensure that all wages were used for the benefit of the family. Why Retain a Forensic Accountant in Your Divorce Case? One of the hot new things in the area of divorce, especially for high net worth clients, is using a law firm that has forensic accountants on staff. 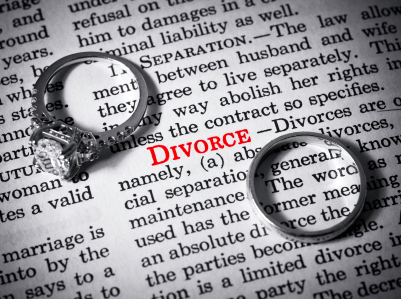 Sometimes the divorce attorneys themselves have credentials in the area of forensic accounting, such as a CPA license, CFE (Certified Fraud Examiner) credential, or CFF (Certified in Financial Forensics) credential. This article was originally printed in the ABA Section of Family Law eNewsletter, December 2013. Spousal support and child support are most heavily influenced by the earnings of the parties. Historical earnings will play a big part in these calculations, so it is important to properly analyze them.